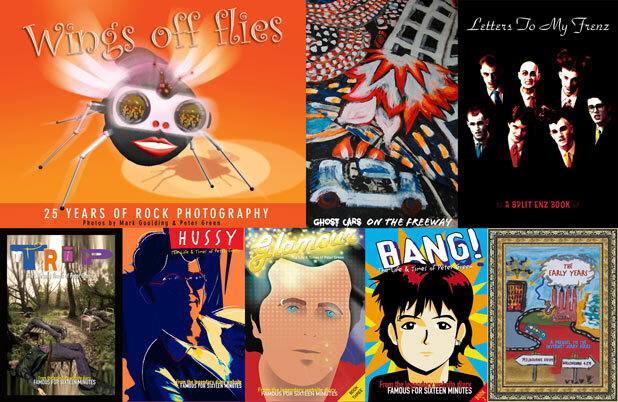 Rocket Pocket Books is a rock'n'roll book publisher based in Kalorama, Australia. Our books on Crowded House -Ghost Cars On The Freeway- and Split Enz -Letters to my Frenz- are based on unparalleled access to the bands' archives and exclusive interviews with their members. Other publications include Wings Off Flies, a visual treat and photographic record of 25 years of music in Melbourne, and the infamous Famous for 16 Minutes diary book series, documenting the highs, lows and vibes of a life in music through the eyes of the legendary Peter Green.